A livery like the cg overlay in the preview pic would be cool. White w/ a frost blue airbrushed trim, oh and a title sponsor. The nicest looking 20th place car in years! Has anyone watched the races through formula1.com last year? I am in Germany and don't have any of the other channels that carry the race (Sky and RTL in Germany), so I am looking into maybe doing this for the 2019 season. I watched the first few races with the F1TV subscription to check it out last year and it was quite pleasant. If I didn’t get the races on my regular television channels then I’d definitely sub to it for the full season. I’m in USA though, so not sure if the service is different in Germany. Oof, that Williams livery, that's a no from me. Can't you somehow get Austrian TV in Germany? It's on ORF1 for free, that's the only tolerable way to watch F1 in Switzerland because the Swiss commentary person is just awful. It's been bugging me all evening and I finally worked out that it reminds me of own-brand toothpaste. There's a disturbing amount of dodgy business involved in F1 sponsors this year. We have the pretty blatant tobacco advertising on Ferrari (see: "mission winnow"), a vapourware energy drink that seemingly isn't sold anywhere and a logo markedly similar to a bike company and now a company that makes phones that I've never heard of (and aren't yet released?) but apparently have enough money for massive sponsorship deals. That Rich Energy drink is on Amazon. I don't have access to regular German TV at all (by choice as 95% on it is crap), so I don't have access to Austrian TV either . I haven't watched F1 regularly in about 10 years, ever since I got rid of TV. But from the mid-90s to the late 00s I have watched basically every race. So I might give F1.com a shot this year. Its just 65€ for the whole season - as long as I get that streamed to my TV set. I also want to watch a few other series during the year. Some IMSA races, some GT3, maybe even NASCAR. I will even try and attend some stuff live this year, as 5 courses (Spa, Nürburgring, Hockenheim, Zandvoort, Zolder) are an easy driving distance from my home. There are number of races besides Formula 1, especially the historic races are of interest. And that Renault looks fantastic. Certainly the best livery of these three so far. On roku IMSA has their own app that you can stream all of their sponsored races from the day after the event. Not sure about live streaming though. I imagine they have it for other devices, but I'm not sure if they would work in germany. Speaking of NASCAR, Daytona 500 is this Sunday. I mean, when you've hit upon a good look, just stick with it. Similar to last year's. But that was already good. I like how from the front it's a yellow car, and from the side it's black. Uses the geometry of the car well. times are all a bit wonky, but this timetable is what I've been following. I guess Sauber is officially Alfa Romeo now? I must've missed that. This promised so much - I thought Rich Energy would give me enough power that I could travel back to India, drive around in a fancy Mercedes powered car and beat Red Bull. Sadly, Rich Energy was full of artificial ingredients that left a bad taste in my mouth - which a cursory look at the details would have told me in advance. Instead we were headed straight to the scene of the accident. Fortunately I have many BWT Vida Water Filter Jug, White, 2.6 Litre to remove the bad taste. I think that was made official pretty recently, only a couple of weeks at most, so easy to miss in the shuffle. Ok, that RedBull will take some getting used to. Dazzle camouflage, so you don't know in which direction it is going. That's almost exactly what last year's looked like, if memory serves. That's the one. It's glorious. I am positive that blue bit will look better in motion which will make the car stand out in a good way. That red bull livery is bad. Not even so bad its good, it's just bad. Last years was an incredible razzle dazzle livery. This is not and I am glad most people agree its just a one off. That has "Place holder livery rushed into production" all over it. I like the merc livery. The fade from silver to black with the blue stripe along the side is beautiful combo. 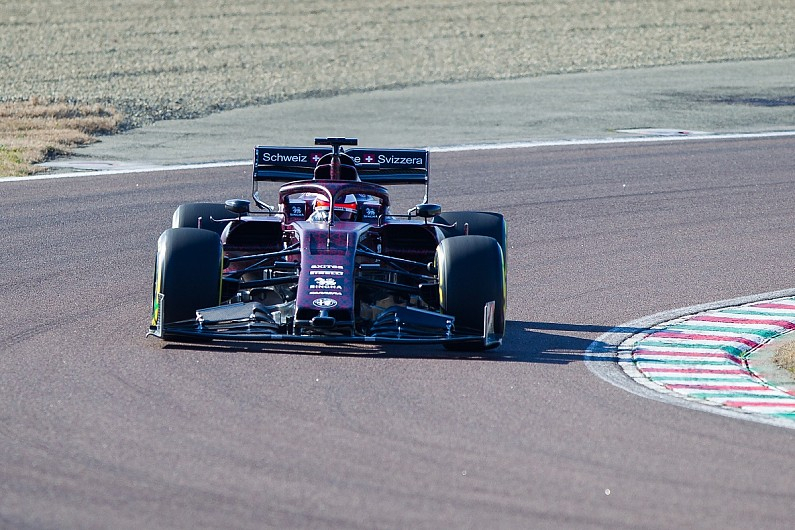 Updated OP with 2019 teams and drivers info, and the 2019 calendar. 2019 car pics will have to come later when there's better ones out there. Let me know if I got anything wrong! Only part of the Racing Point car I don't like is the silver/gray bit. That's apparently just a testing livery too, by the way. Kimi at the wheel. So, Ferrari reveal tomorrow, Alfa on Monday. Bold prediction... The Ferrari will be very red. So, in general, I dig the Toro Rosso the most so far. 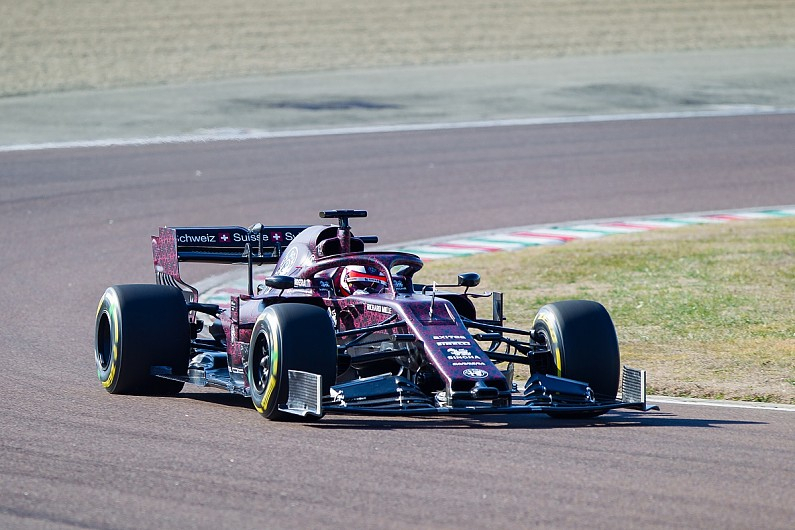 I like the Haas too, but Renault does it better. I like it, and I particularly like the use of black as the accent colour.